It’s ready! 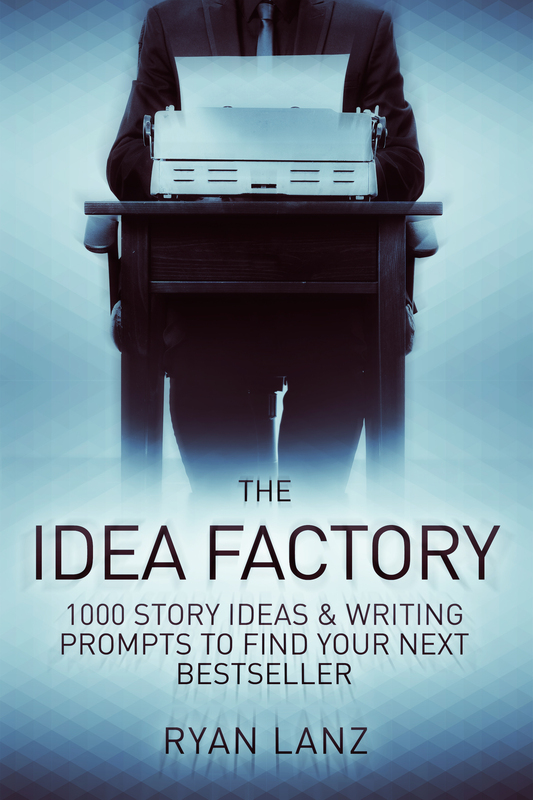 My new book The Idea Factory: 1,000 Story Ideas and Writing Prompts to Find Your Next Bestseller is live. It’s been an interesting work in progress. I wrote this book specifically with writers, authors, creative writing enthusiasts, teachers, and poets in mind. I’ve always heard that writing prompts were helpful, but I didn’t experience them much first-hand until a few years ago. I found that using them has helped quite a bit when needing an extra boost in creativity. In the beginning, it discusses several different methods for creating ideas as an ongoing process. For writers who have been doing this a long time, they already employ most of them, but I’ve heard feedback that there’s at least one that they either didn’t think of or haven’t used in a while. Then the rest of the book is one thousand writing prompts and story ideas across multiple genres (see below for a sample). One idea can create a book. One idea can spark a career. Do you have a hard time coming up with ideas on what to write? Countless writers love to write fiction. Exploring a plot and fleshing out characters is part of what makes the project fun. However, few things are worse than staring at a blank screen with no clue what to write next. These 1,000 prompts are designed to give you the combination of the idea itself, as well as concepts to help you create your own. In the introduction, we discuss the different methods for creating story ideas to continue long after you read the last prompt. • Fantasy, Science Fiction, Romance, Horror, Thriller/Suspense, Mystery, Children’s, Middle Grade, Young Adult, Paranormal, Humor, and Historical. If you need help with inspiration, this is the book for you. Out of 1,000 story ideas and writing prompts, the beginnings of your next book is likely in these pages. 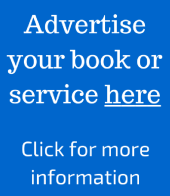 Let’s find your next bestseller. I’d like to thank my Launch Team, who are the best people ever. Their beta reading provided a helpful contribution. The book cover was made by the fantastic Adrijus Guscia at Rocking Book Covers. He does excellent work and is always attentive to writers’ needs. If you need a book cover made, he’s the guy to talk to. If you’d like, read below for a random sampling of the writing prompts in this book. As you can see by the numbers, I picked from different parts to showcase different flavors. 2. At Big Sky Middle School, the kids always thought lunch lady Agnes had a strange way about her. It turns out the reason why is because she’s a part-time assassin. Write about how she juggles her responsibilities between making chicken fingers and keeping up her kill count. 36. Bob from Human Resources is the only reason why humanity still exists today. His title is more literal than most people think. 72. In this world, whenever someone dies, everyone that person has ever kissed also dies. This is why people very rarely kiss, and when they do, it bonds them for life…literally. 161. Begin a scene with this line: Today is the first day I spoke to another human being. 247. You walk by your window and spot a short figure standing in the parking lot. Normally this wouldn’t seem odd, but it’s pouring down rain, and the figure hasn’t moved at all. You wait to see if the girl’s parents show up, but all she does is stare at your front door. Feeling goosebumps, you glance behind you. When you turn back around, her face is tilted up to your window. 345. Two lovers lie close to one another when one whispers something in the other’s ear. After listening, he immediately gets up, sells everything he owns, and moves out of the country. Have him share what was said to a stranger on the plane. Earn bonus points if the stranger on the plane is somehow involved. 459. Begin a scene with this line: This neighborhood used to be safe before the superheroes moved in. 530. Write a scene about a medieval butcher’s shop from the viewpoint of a modern vegan. 690. A modern culture decides to embrace an ancient civilization who worshipped the dead. In fact, they focus on death so strongly that they seek to transition those who are living into the group of dead they worship. 767. The prophecy for the end-times and the coming of the apocalypse is found written in blue sidewalk chalk. It turns out it was written by a child. Write about concerned neighbors talking to the child’s parents, who start to wonder what’s different about their son. 779. Apparently heaven requires employees to run smoothly. An angel contacts your main character in an attempt to recruit him as a security guard for the pearly gates. The only catch is, he’ll never be let inside. 780. Begin a scene with this line: I fired my imaginary best friend. 857. The first time your daughter’s doll asked you for a hug, you didn’t think anything of it. But the deeper the voice and the more insistent it sounds, the creepier the situation becomes. 975. Every time you learn something new, you have to give up the knowledge of something else. Everyone has a tablet that lists everything they’re knowledgeable about, and you press to select what you wish to release. The issue is deciding which to destroy. 994. It turns out math doesn’t actually exist. It was merely something created to give the illusion of order in the universe. Detail a scene where mass hysteria breaks out when the world learns the truth. Awesome!!! I can’t wait to read it, really looks good. What a great set of sample writing prompts ranging from humorous to deep to grim. Even if any one only becomes a launch point, writing prompts are a great way to get writing (72 and 780 both look fun)! Good luck with the sales! I appreciate that Linda! You rock. I enjoyed your sample prompts. I found them fun and creative. Another post I learned from. I’ll be looking for this book! I hope you enjoy it, Thonie. Congrats on such a grand achievement! So happy for you. Agree that so often, the difference between a blank and full page is the first word or brain fart. This sounds like an amazingly cool reference. Thanks for reading, JR. I hope you find it useful. Great timing indeed for the Holidays. I know what I’ll be asking for Christmas . . . The truth is often stranger than fiction. A book for every writers’ shelf. Love #72! It’s full of awesomness that will gte the creative juices flowing! While these are interesting ideas, I have a dozen books started and a few hundred of my own ideas in a folder for more. I’m a turtle-paced writer apparently since I’ve only completed writing two books. The first one I planned a series for and the second one is still being edited. Reblogged this on UK POLITICS VIEW.